"Flor de sal" salt flakes with wine. 70gr. A marriage made in Heaven between the Añana Flor de Sal salt flakes and red wine from the Alavesa Rioja region, which when dried, adds the flavour and taste of the grape to the salt. 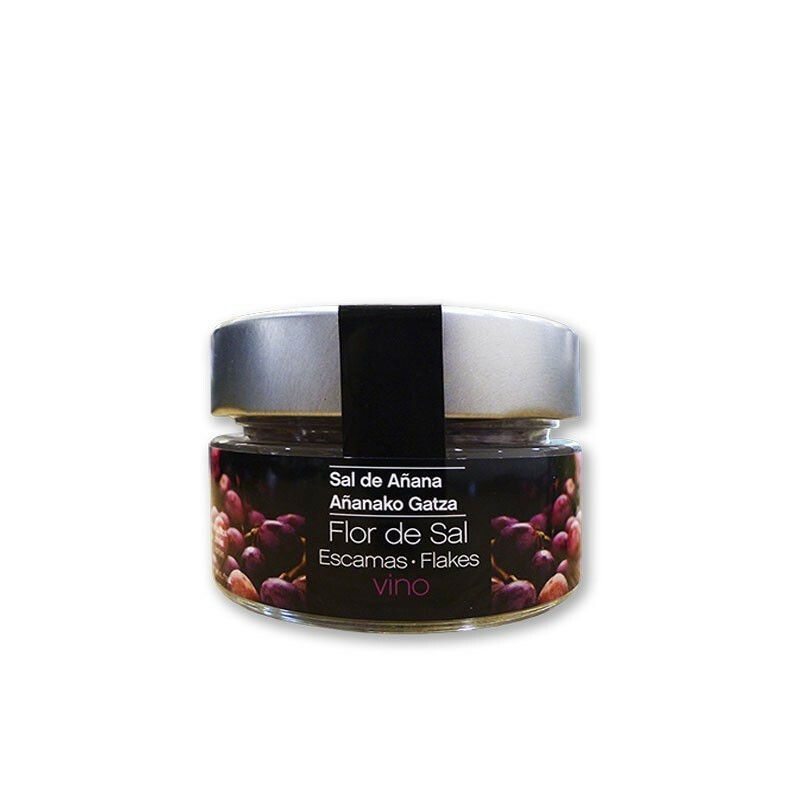 The Flor de Sal salt flakes with wine are unique due to their crunchy texture in the mouth and the spicy and balsamic flavours which bring to mind mature red fruits and oak. They are especially recommended for use with red meats, grilled or braised, and also in stews and soups.